Should I have chiropractic care during my pregnancy? Yes! Chiropractic care can help you feel better and can even help reduce labor and delivery time! In our office, we find that our moms feel better after chiropractic care and our glad they made the decision to receive care. It is very common to feel nervous or even concerned about the safety of your baby. Dr. Miller uses very gentle techniques that can help you feel more comfortable. Do I have to have a problem to see a chiropractor? No. Chiropractic checkups during pregnancy help assess all of the biomechanical changes in the woman's spine and pelvis due to rapid weight changes. Chiropractic care during pregnancy may help control vomitting, reduce low back pain, pelvic pain, sciatica, rib pain, and pubic bone pain. Chiropractic has demonstrated success with back pain, premature contractions and back labor. The Webster Technique is an effective, non-invasive treatment of a sacral/pelvic misalignment. Patients can receive adjustments even during labor. It has also been reported that there may be a relationship between back pain throughout pregnancy and a longer duration of the labor and delivery process. A retrospective review of statistics reported that primigravida women who seek chiropractic care throughout gestation have, on average, a 25% shorter labor time whereas multiparous women who seek chiropractic care throughout their pregnancy have, on average, 31% shorter labor times (2,3).An increasing number of practitioners, midwives, and obstetricians are realizing the benefits of manual therapy for their pregnant patients,and inclusion of chiropractic or osteopathic care during patient's pregnancies and labors is becoming more widely accepted (2,3). Chiropractic evaluation and treatment during this period may be warranted and considered a safe and effective means of treating common musculoskeletal symptoms that many pregnant patients encounter. The published evidence even suggests that regular chiropractic care may improve the probability of successful natural birth (4). 2. J.M. Fallon. Textbook on chiropractic & pregnancy. Arlington,VA: International Chiropractic Association; 1994: 52, 109. 3. Fallon J.M. 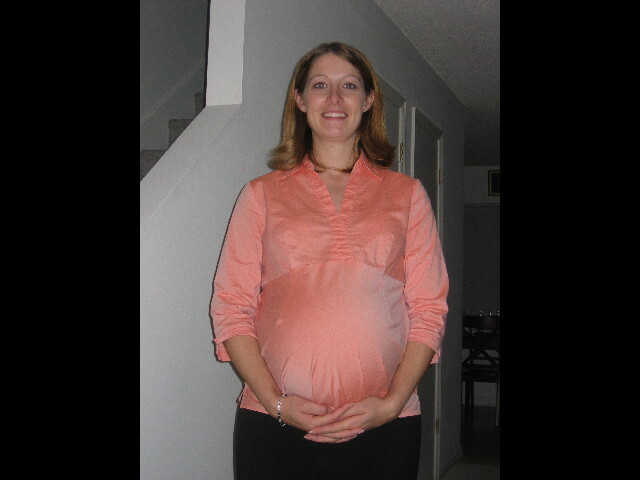 Chiropractic and pregnancy: a partnership for the future.ICAInt Rev Chiropr. 1990;46(6):39–42. 4. Vallone S. The role of chiropractic in pregnancy.ICAInt Rev Chiropr. 2002:47–51. Heather who delivered twin boys! Our chiropractors are trained in adjusting pregnant women and our adjusting tables have special modifications for the pregnant woman. Shannon who delivered twin girls naturally!